These notes are intended to assist businesses that wish to apply for Licenses under the Licensing Act 2003 (LA2003) in the area covered by the Covent Garden Community Association (CGCA). This applies to licenses for the sale of alcohol, late night refreshment and entertainment of various types. It applies to applications for new licenses, variations to existing licenses and also minor variations. We would like to encourage businesses that are considering operating licensed premises in the CGCA’s area to discuss their plans with us well in advance. 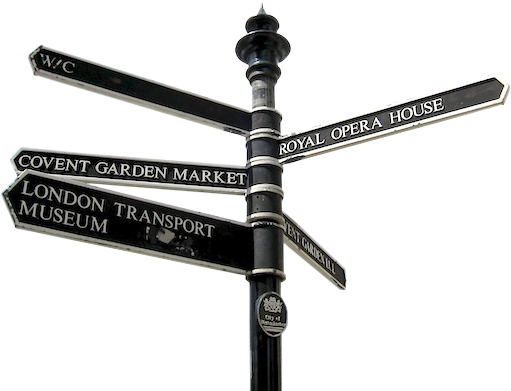 If you are in this position please email licensing@coventgarden.org.uk. The CGCA’s area contains about 200 premises licensed under LA2003, and the majority of these operate without any issues. However, 7,000 people also call this area home. The sheer number of premises in a small area that also contains many flats means that residents are affected by the cumulative impact of these premises. Because of this our area is almost entirely designated as a ‘Cumulative Impact Special Policy Area’ within Camden’s licensing policy or a ‘Cumulative Impact Area’ under Westminster’s licensing policy. Both policies exist because the area already suffers an impact from the number of licensed premises and consequently from the number of people in the area, especially in the late evening. The CGCA recognizes that there is a need to balance commercial and residential interests in the area to allow it to thrive. Equally, though, we are concerned that increased licensable activity has a detrimental impact on the residential population because it increases the level of noise in the area during a period when people would like to be able to sleep, and it may increase incidence of antisocial behavior too. More premises, no matter what their style of operation, will result in more noise peaks – especially in historic narrow streets or those with tall buildings on both sides, in a part of central London that has little ambient sound at night. One of the key Licensing Objectives of the Licensing Act 2003 is “the Prevention of Public Nuisance”. This is what we are trying to ensure happens. Where are the residents in the immediate vicinity of the premises? Where are the residents who will be impacted by people arriving and leaving the premises? Do we expect that the proposed operation will have a negative impact on residents? at night (after 11.30pm Monday to Thursday, Midnight on Friday and Saturday, 10.30pm on Sunday)? What additional conditions can we propose to deal with these concerns? If this is not possible, how can we otherwise prevent Public Nuisance being created by a grant of a licence to these premises? When asking these questions we usually find that the business will have covered some of the areas of concern but they may not all have been addressed. A discussion, before an application is made, brings the best results for the applicant and for us. Applicants talk to the CGCA about their plans before writing their applications so that we can make them aware of our concerns for their specific application. This allows the Applicant to include conditions to cover those concerns, where this can be done without detriment to their proposed operation. It also allows the CGCA to have pre-discussions with local residents. Applicants ask the CGCA to review the draft application prior to submitting it to the Licensing Authority. This makes sure that we are able to highlight any possible misunderstanding in relation to our concerns, and that all of the conditions proposed to address these are workable. The result is sometimes an application that addresses all of our areas of concern so as to eliminate the need for us to submit comments. However, if not all the concerns can be addressed without the applicant feeling that the proposed style of operation is compromised, then we seek to deal with them by condition. This means that at the eventual hearing the Licensing Committee only has to decide upon points that really matter to both residents (as represented by CGCA) and to the Applicant. If you are considering applying for a new license, or to vary an existing one, please come and talk to us first.